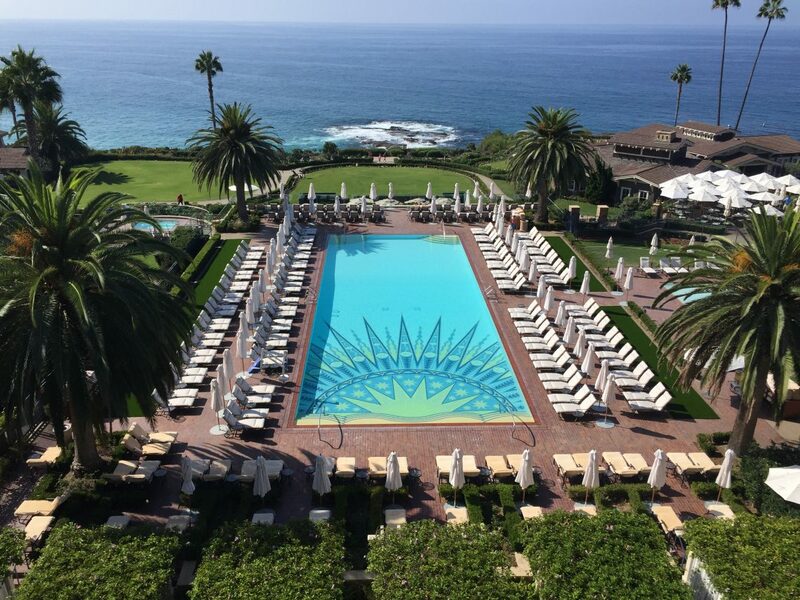 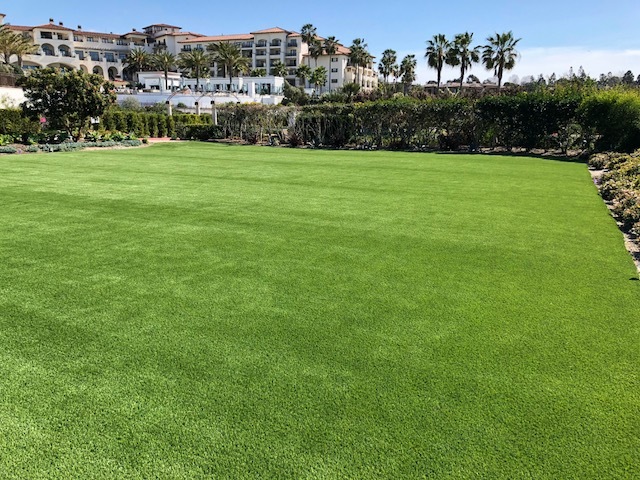 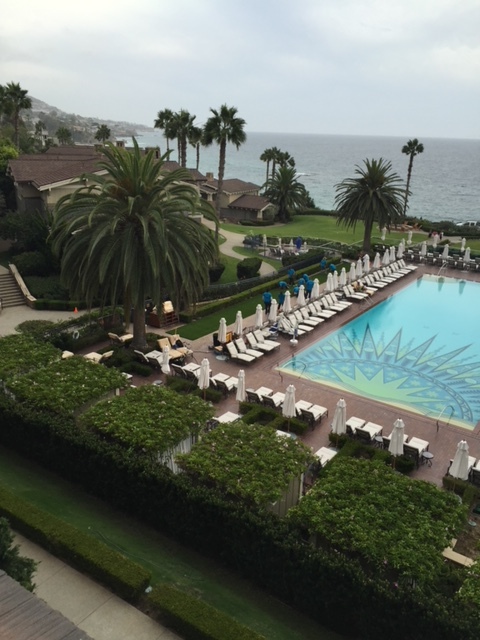 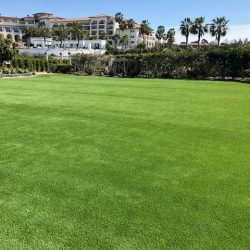 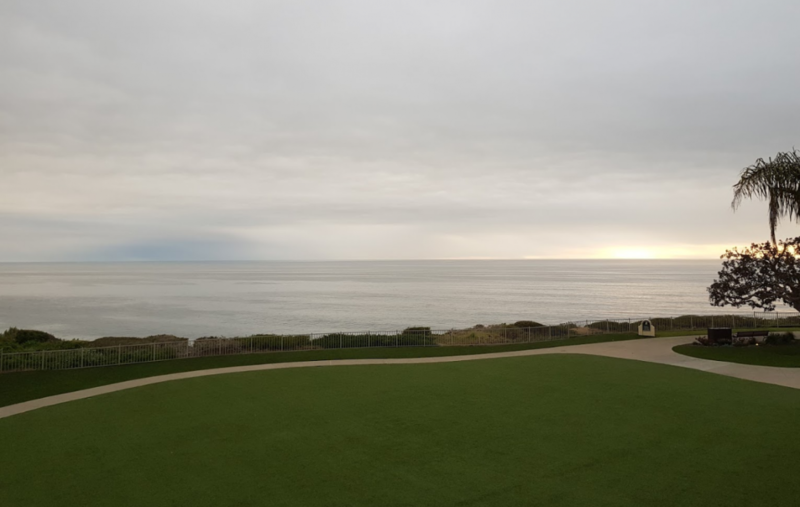 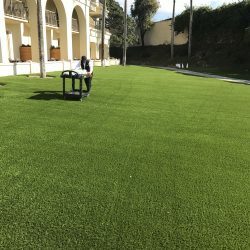 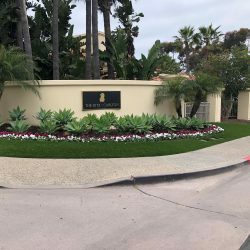 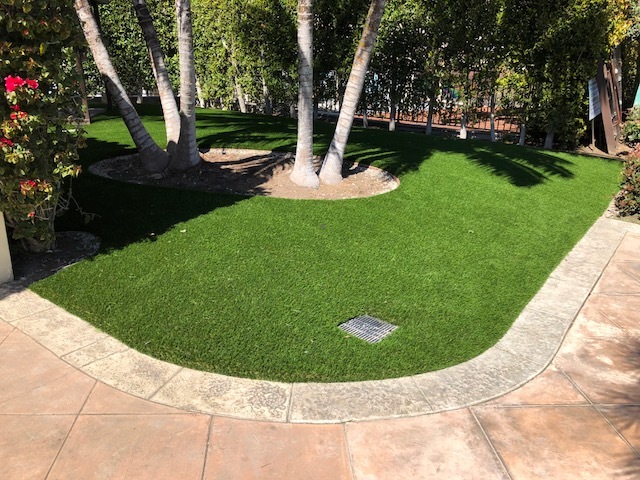 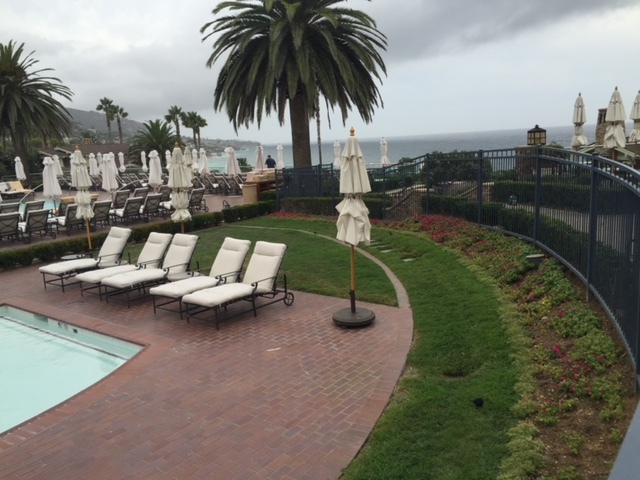 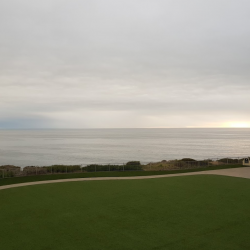 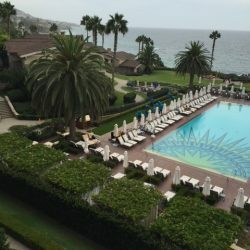 Four Ways to Reclaim Your Yard With Turf | Five Star Turf, Inc. 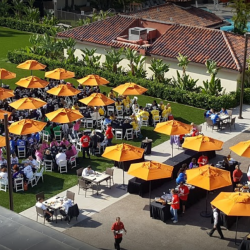 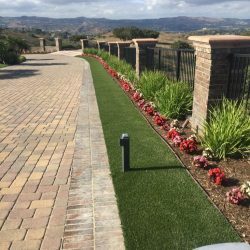 Homeowners are looking for innovative ways to update their outdoor living areas to maximize their enjoyment, and minimize maintenance. 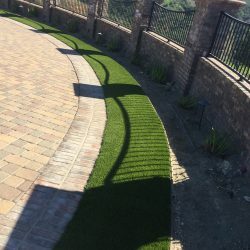 Here we offer recommendations for the top four ways homeowners can reclaim their outdoor spaces, and make their landscapes the envy of the neighborhood. 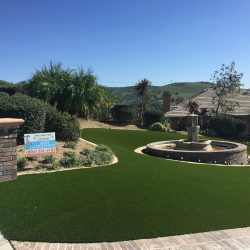 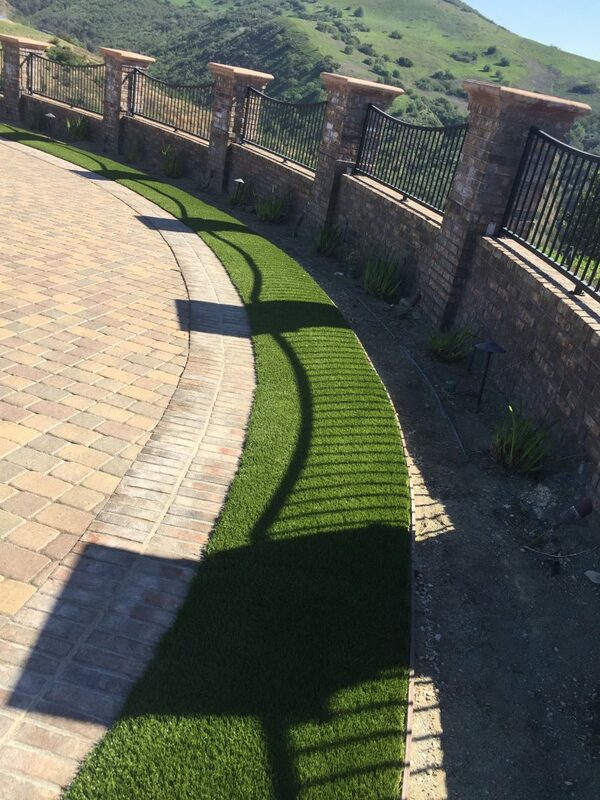 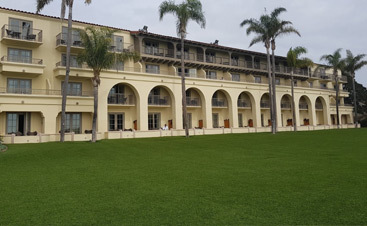 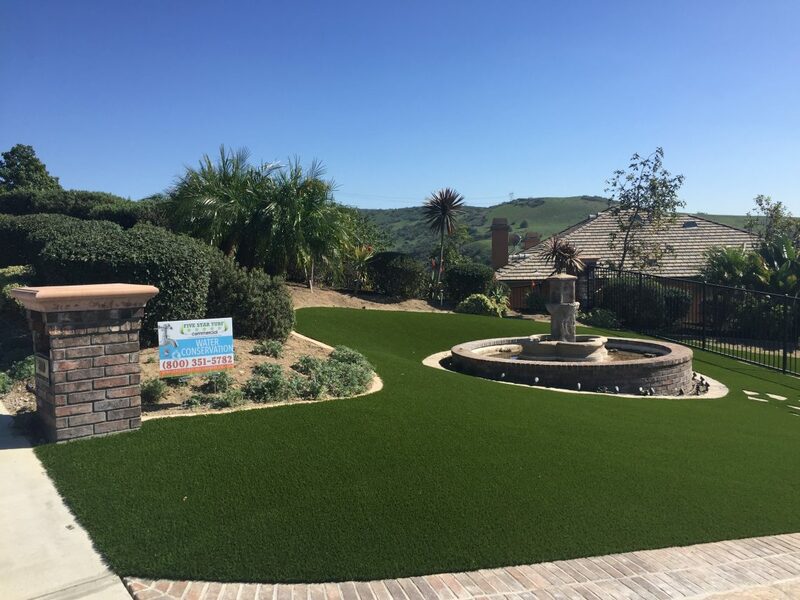 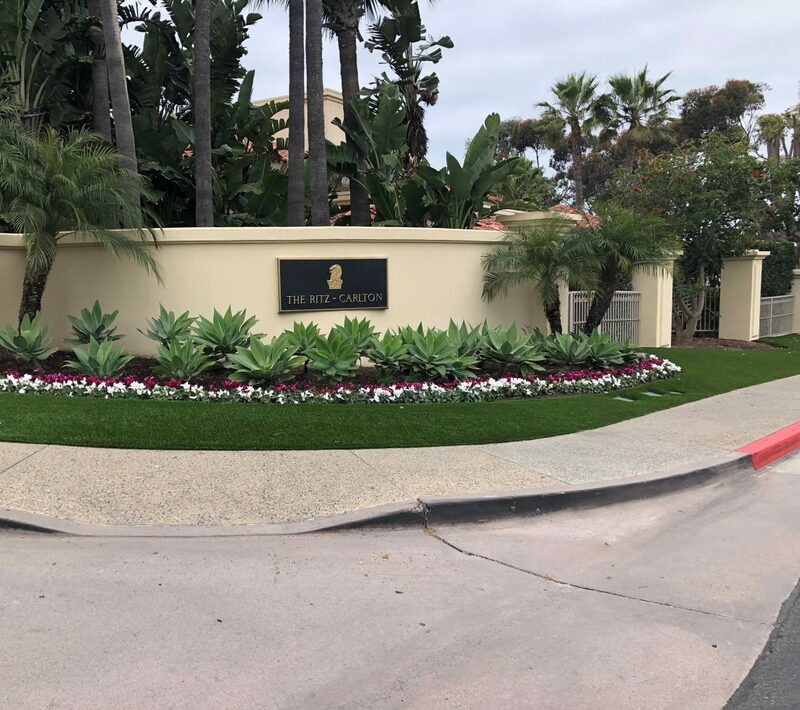 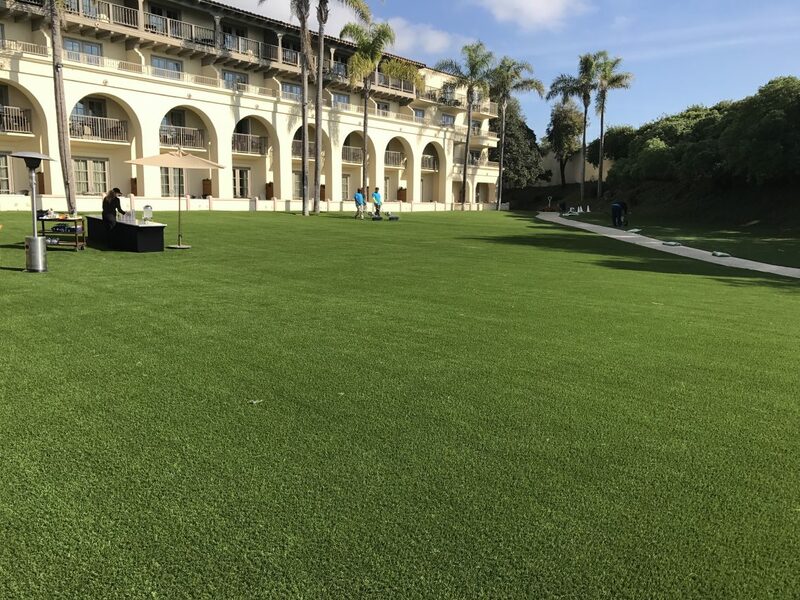 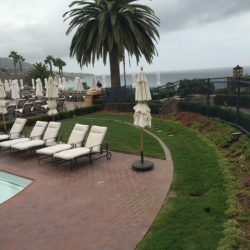 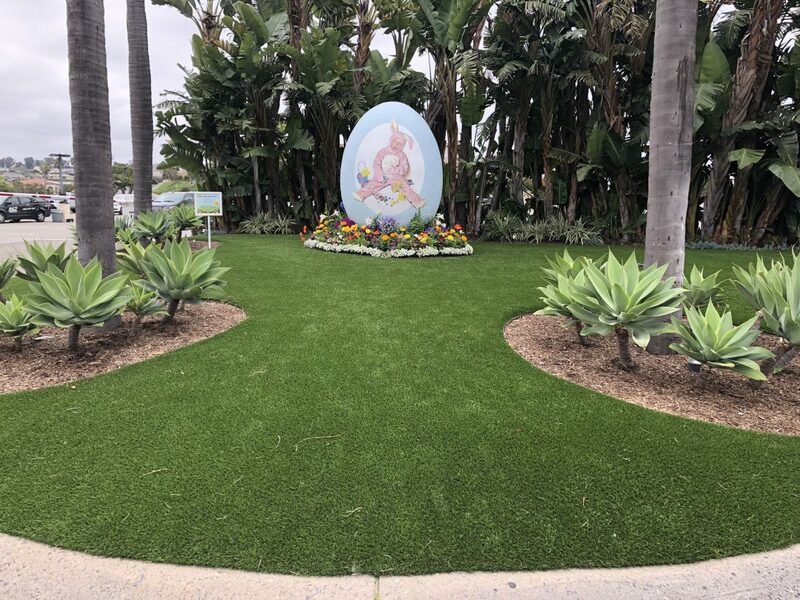 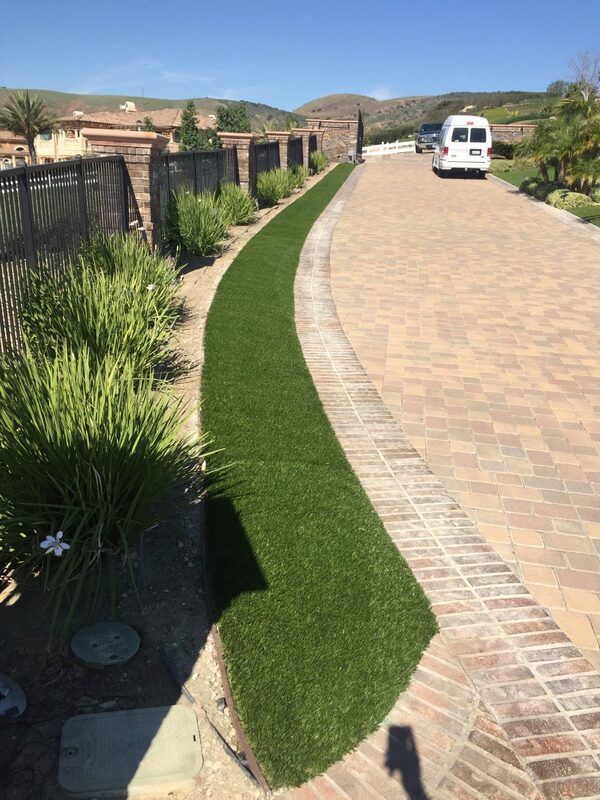 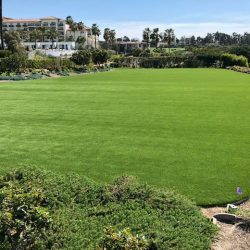 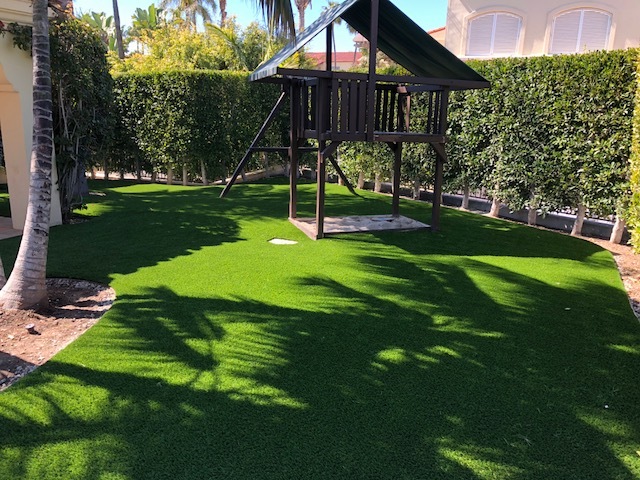 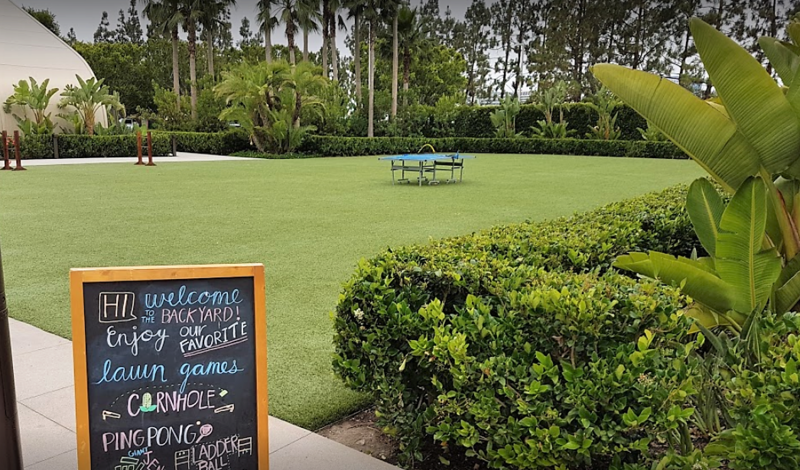 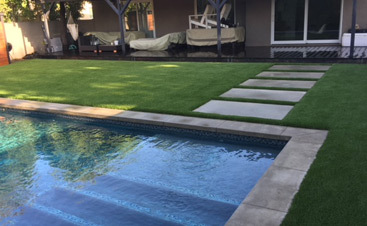 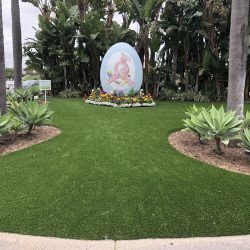 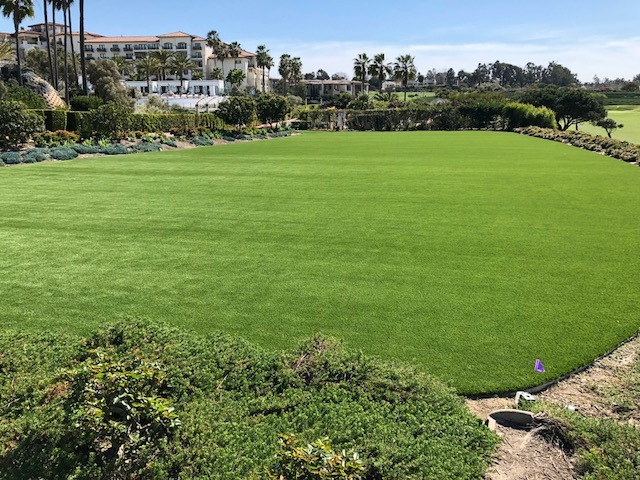 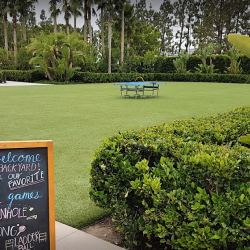 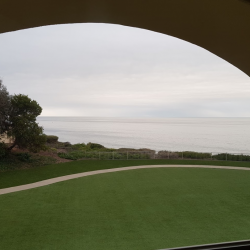 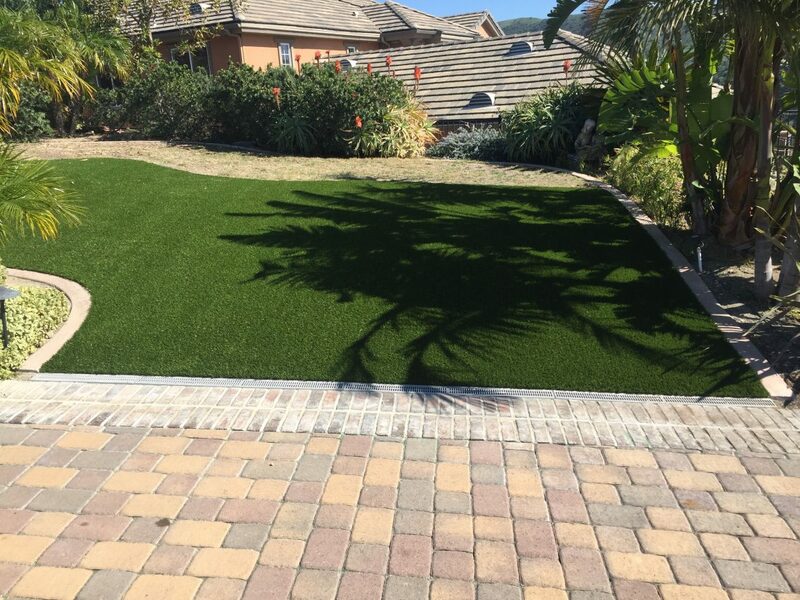 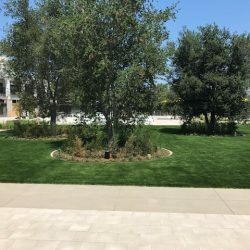 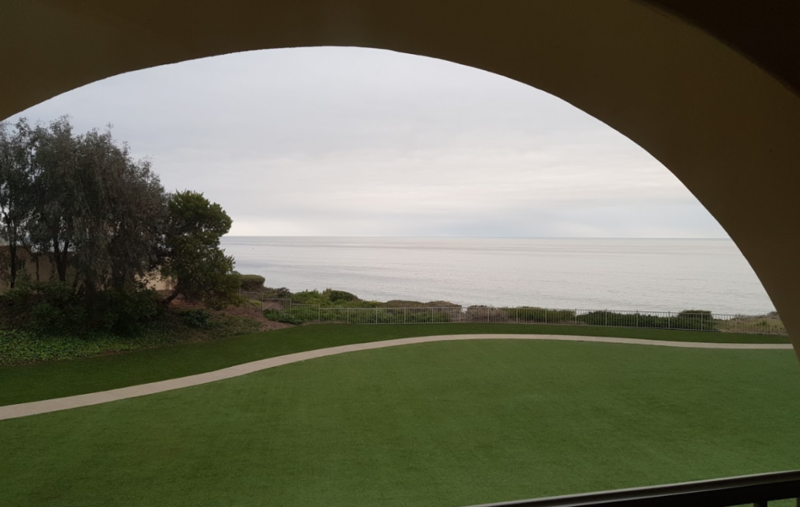 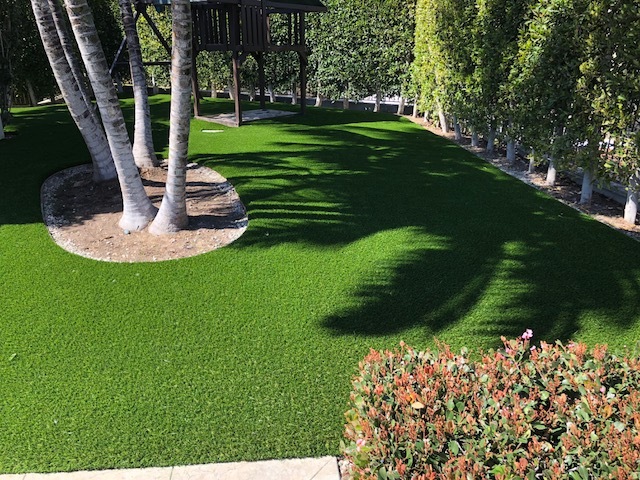 When growing a lawn is problematic, synthetic grass is one of the coolest upgrades you can do to your yard. 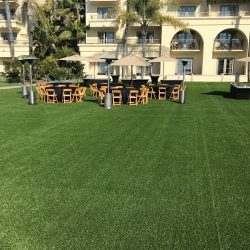 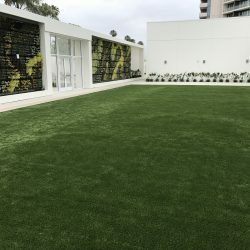 You can create an awesome, functional space with artificial turf that doesn’t require a ton of maintenance. 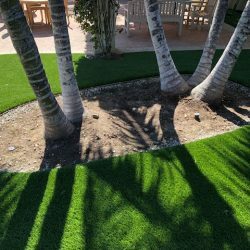 With any of these five ideas, homeowners can take an area of their yard that is being under utilized, and transform it into a backyard paradise. 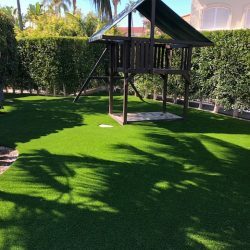 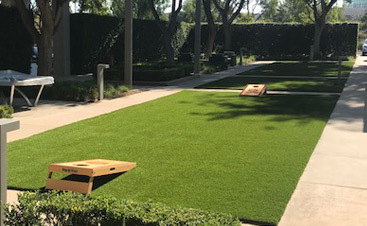 From serious golfers, to people looking for a new, fun activity for their backyard, there are many great options. 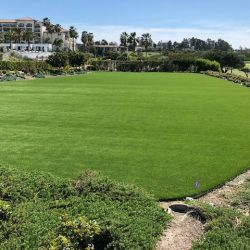 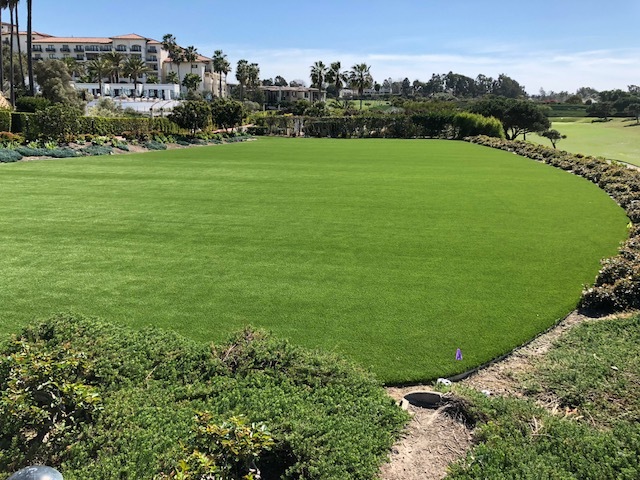 Providers can design a green to mimic the speed and rolls of a golfer’s favorite course, or create a one-of-a-kind design. 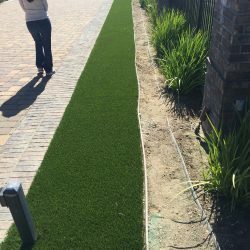 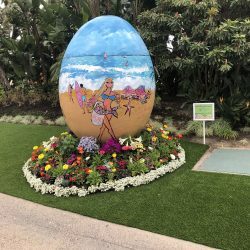 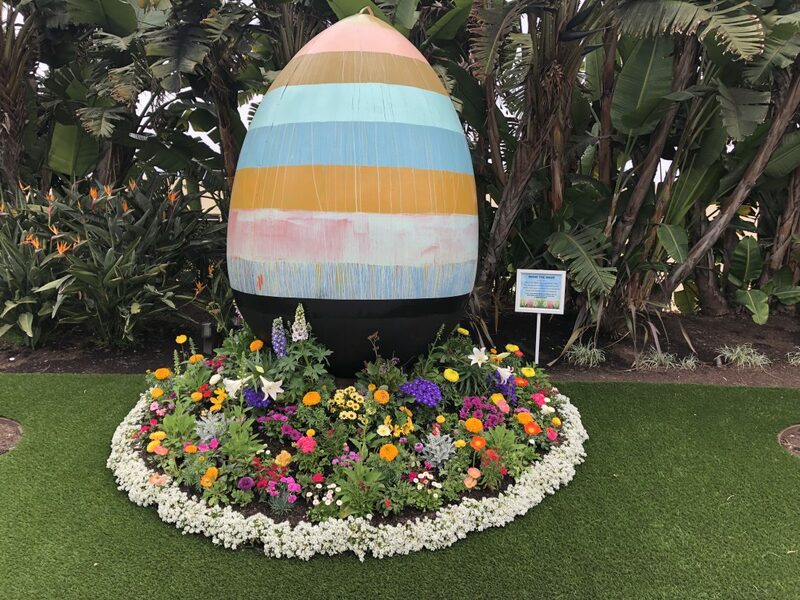 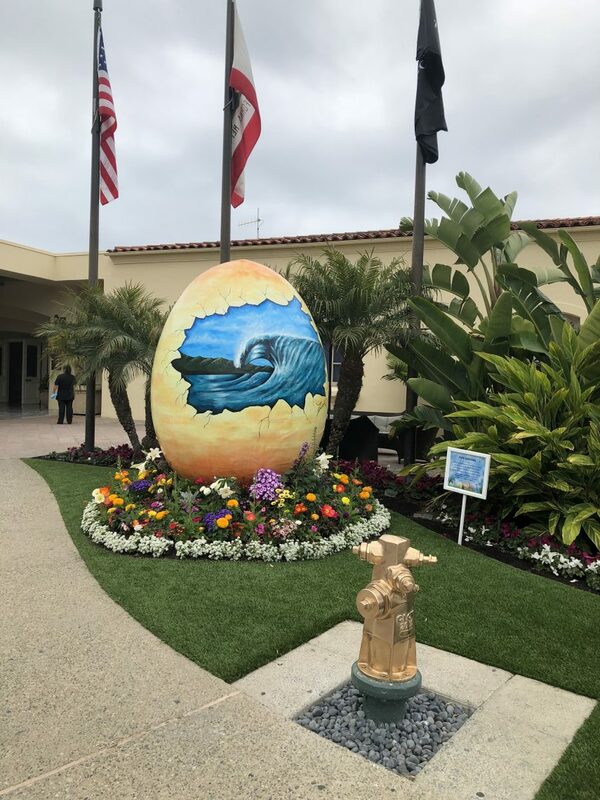 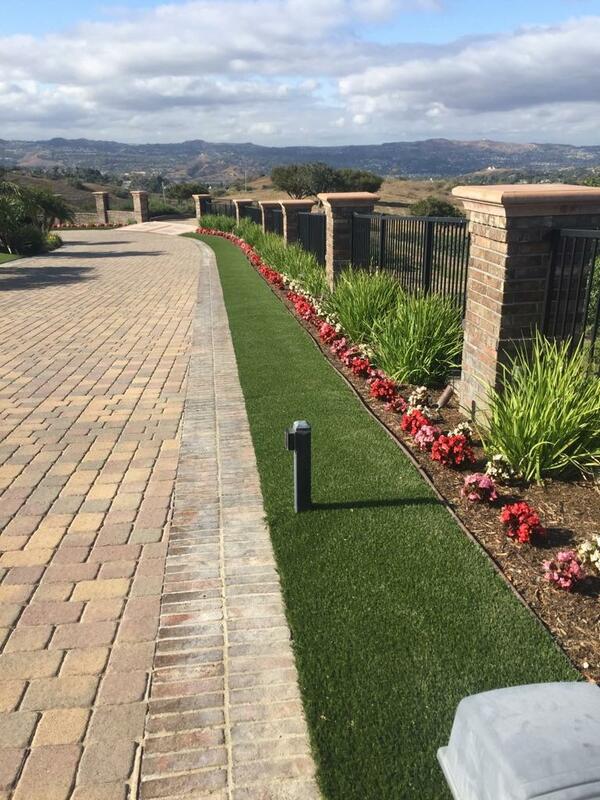 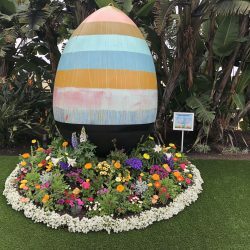 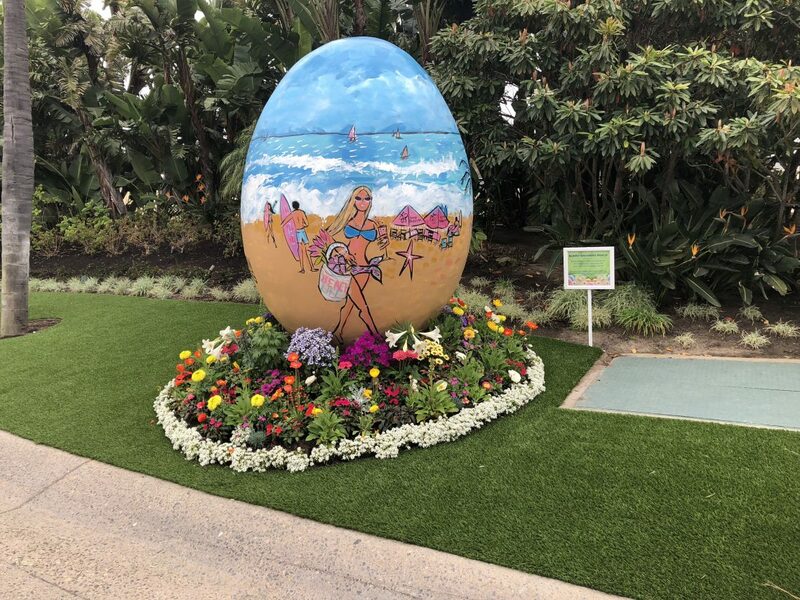 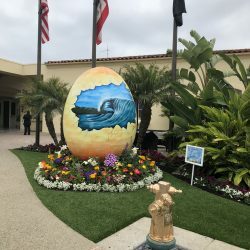 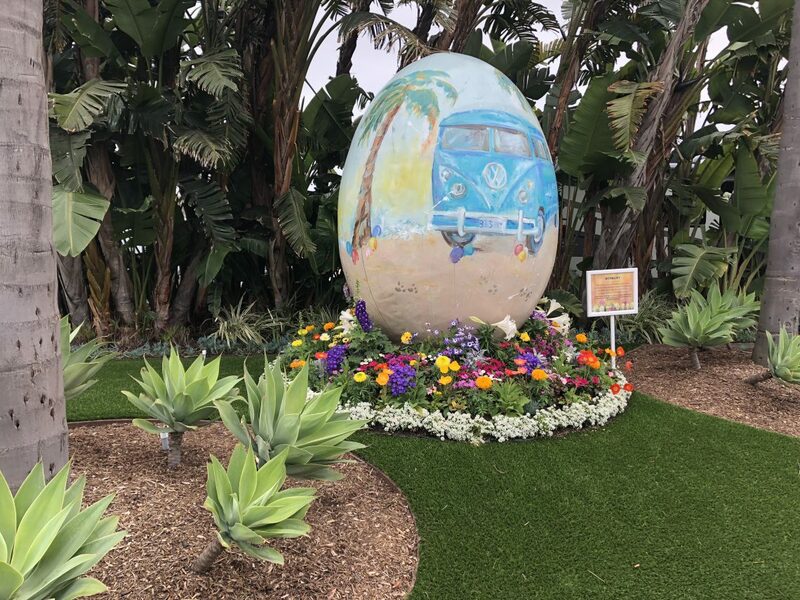 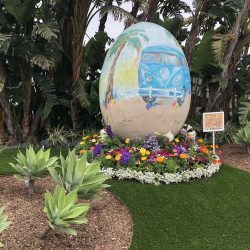 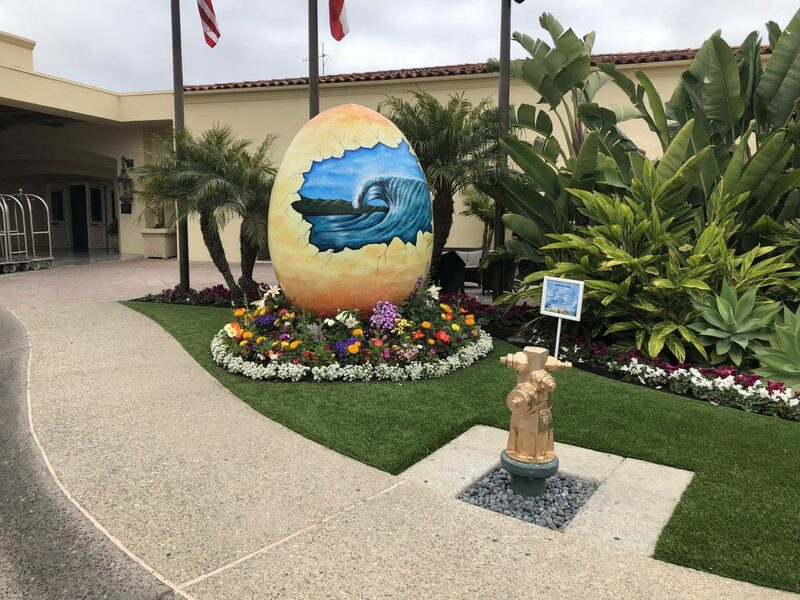 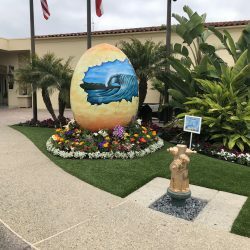 This fun, creative product can help homeowners improve their landscape and their golf game! 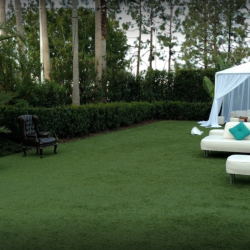 The warm weather means spending more time outside, and creating a cool backyard entertaining space is a great way to enjoy the outdoors. 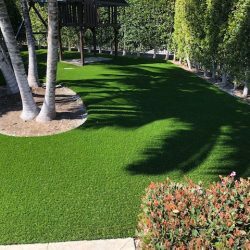 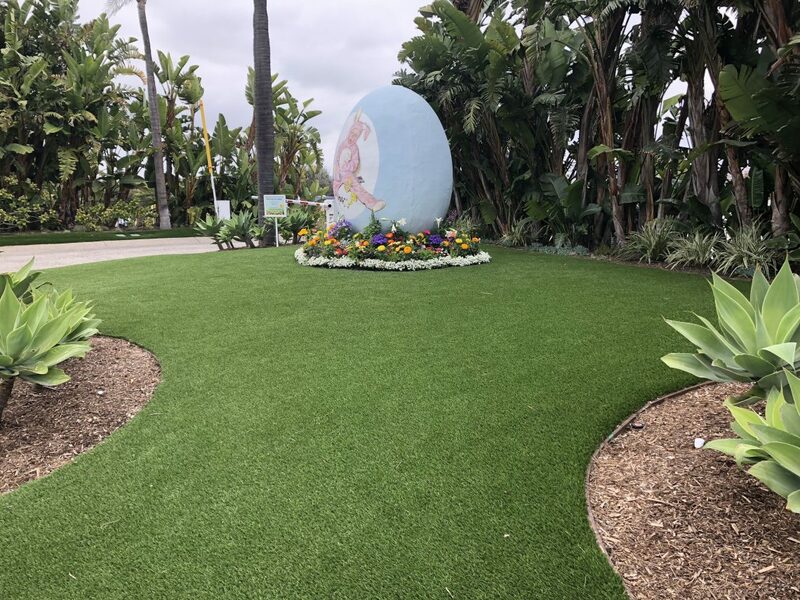 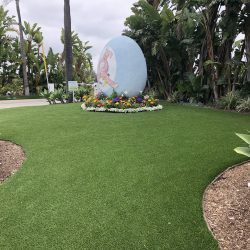 Certain situations can make it nearly impossible to grow a plush, hearty lawn. 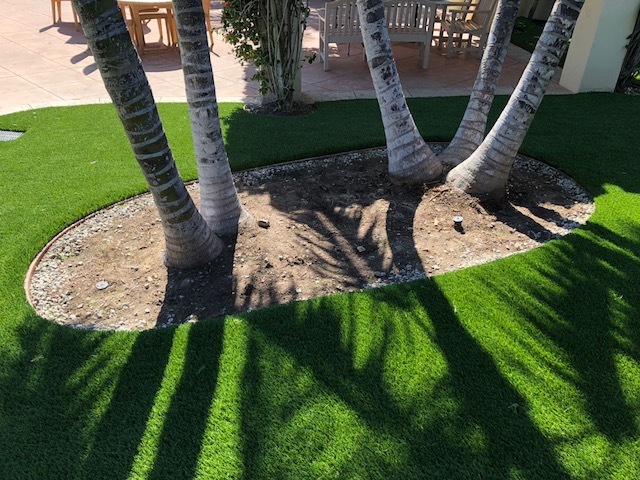 Sometimes large shade trees keep grass from growing. 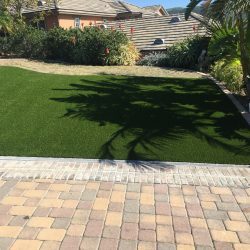 Some yards have trouble drying out after rain, making the yard constantly wet and muddy. 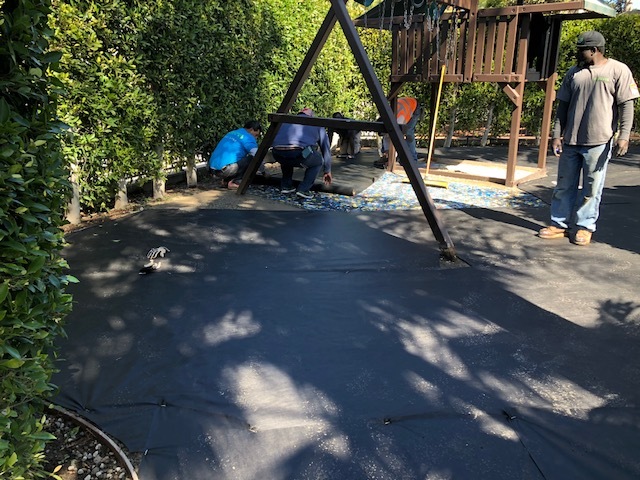 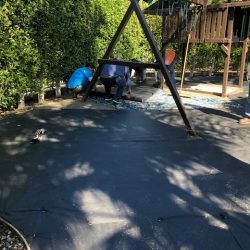 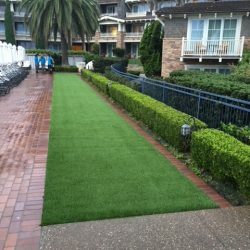 Artificial turf is an excellent solution to these types of problems. 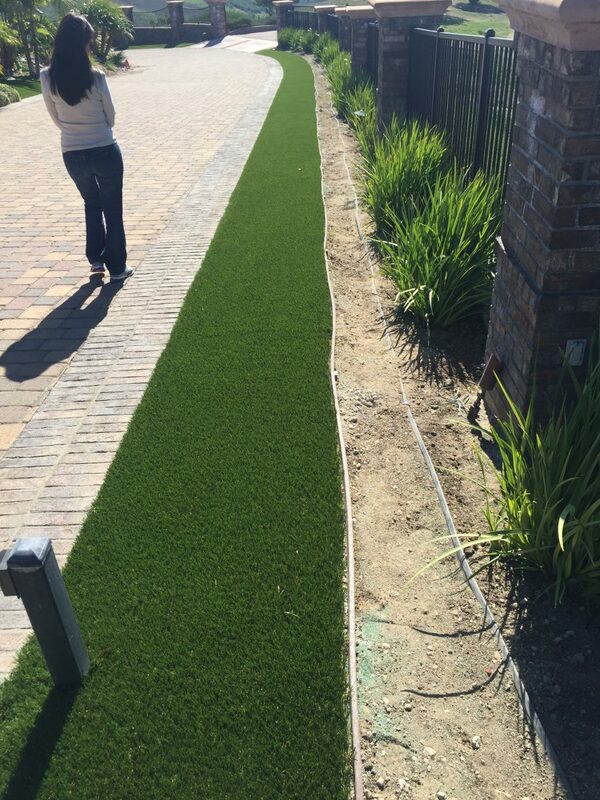 If dogs are tracking mud into the house, digging holes, or otherwise ruining a beautiful landscape, why not give them a space of their own? 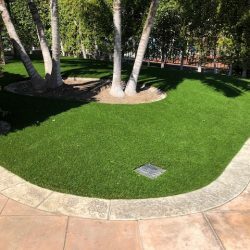 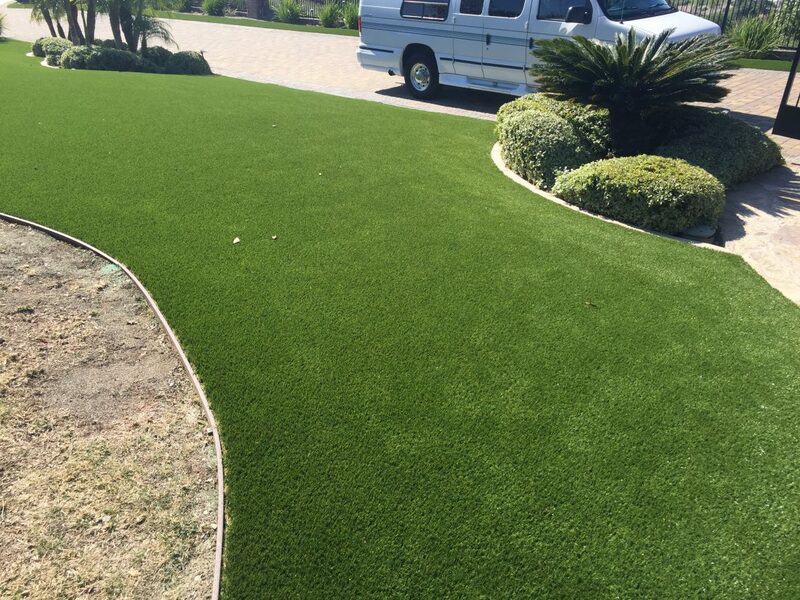 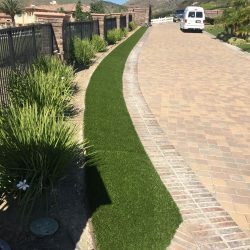 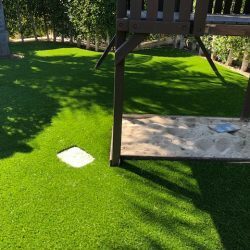 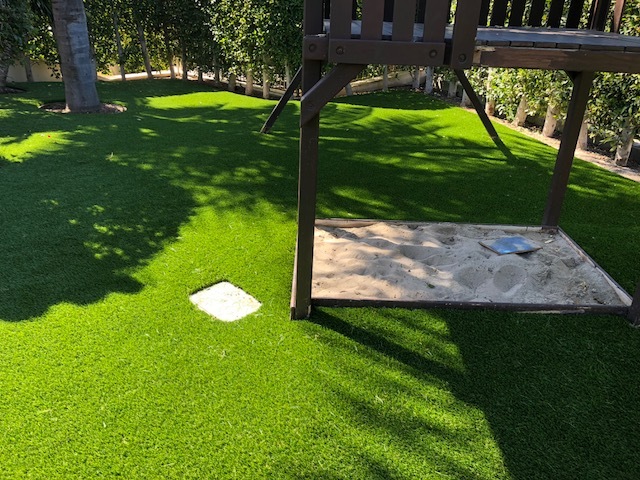 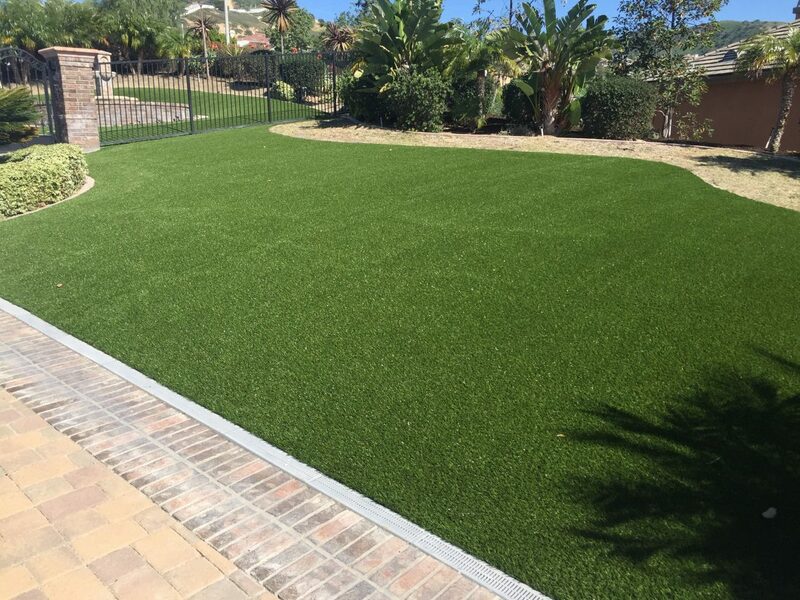 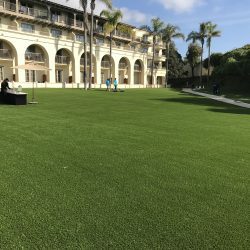 Many companies design artificial grass specifically for dogs. 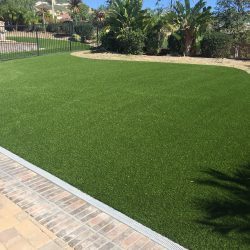 It’s safe, antimicrobial, drainable, and cleanable. 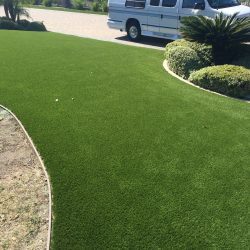 And dogs love it! 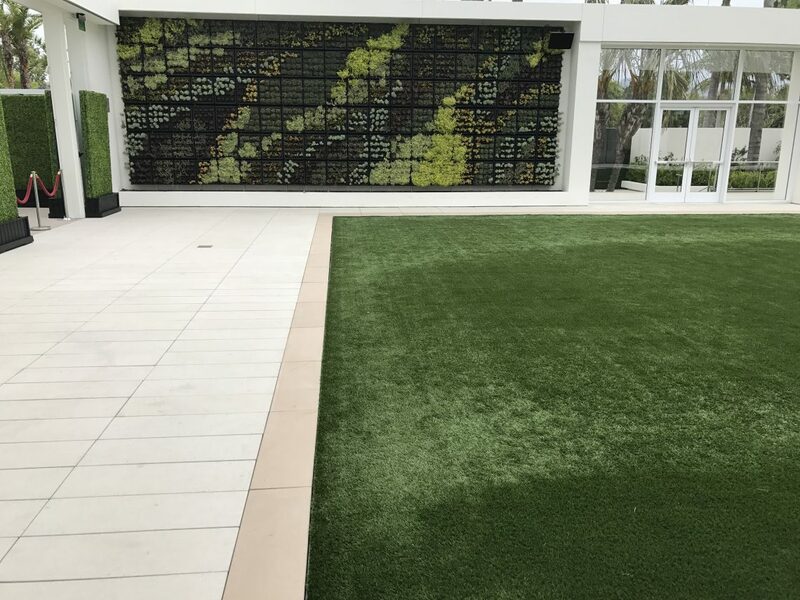 Watching dogs roll around on turf is entertainment all on its own. 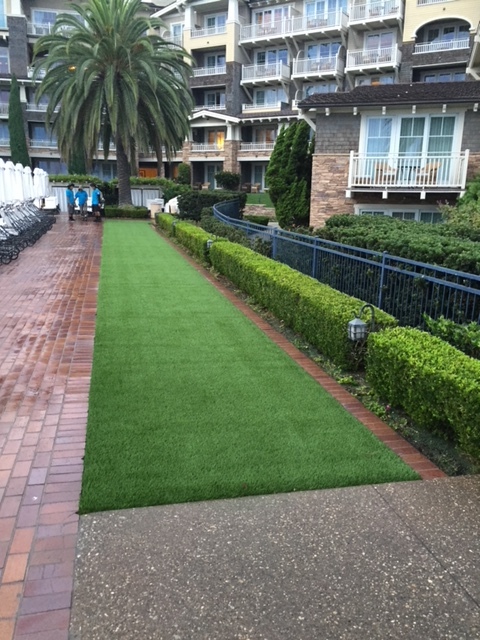 And when mud is no longer an issue, there’s even more time to enjoy cleaner, happier pets, and a pristine landscape. 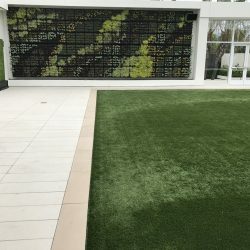 Even those who don’t have big backyards can claim their limited outdoor areas to create unique living spaces. 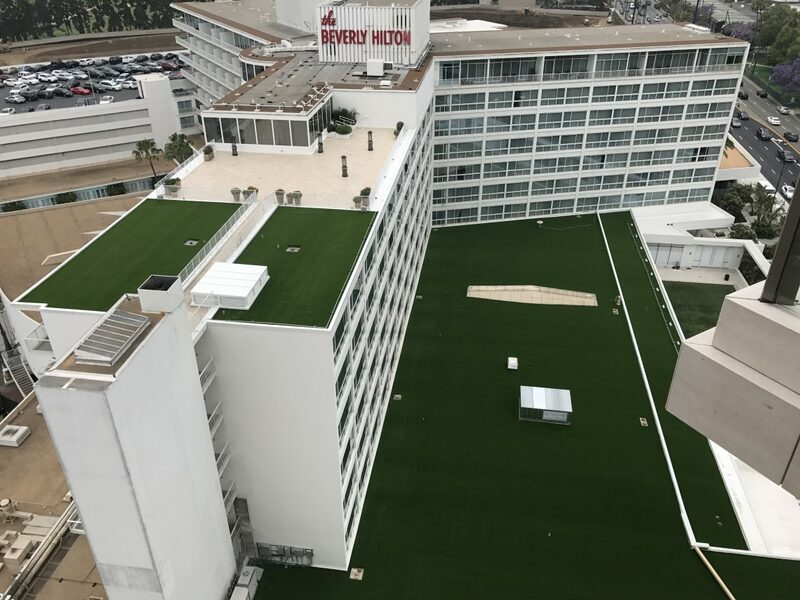 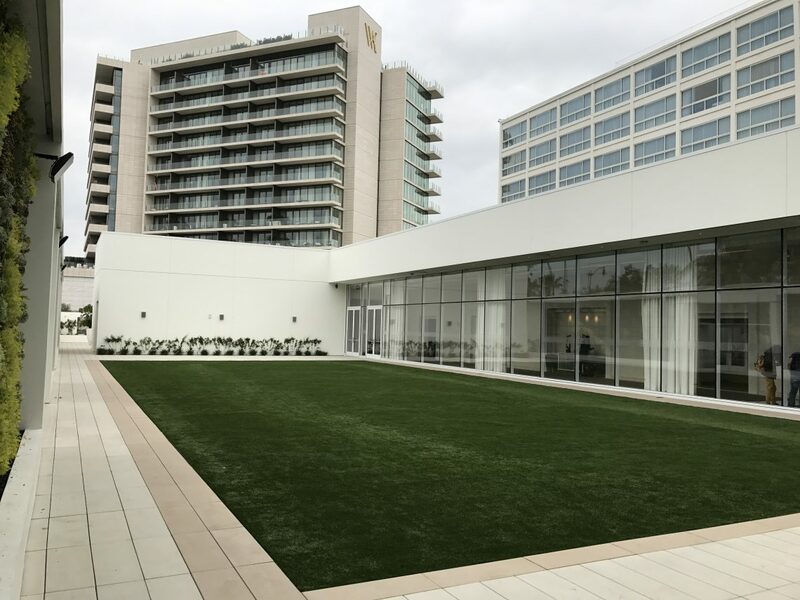 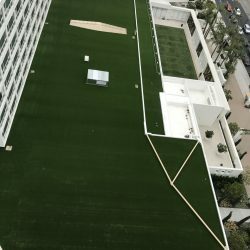 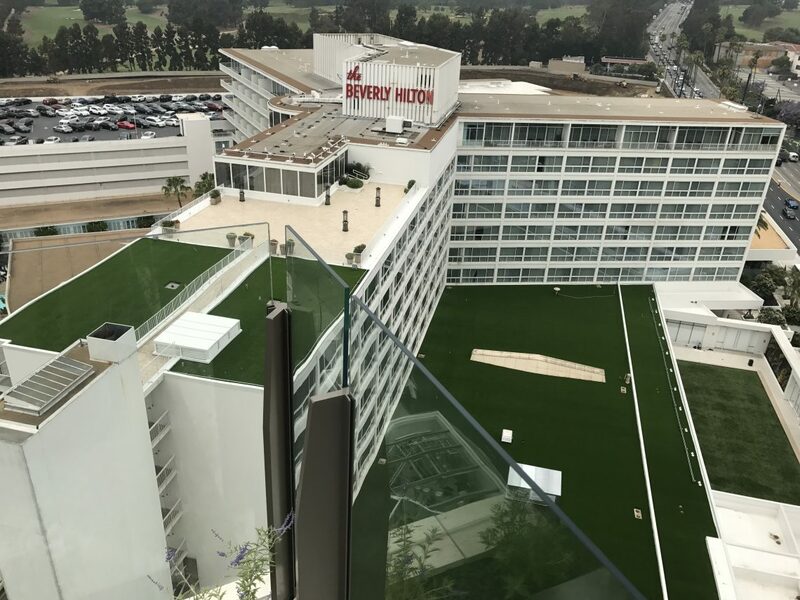 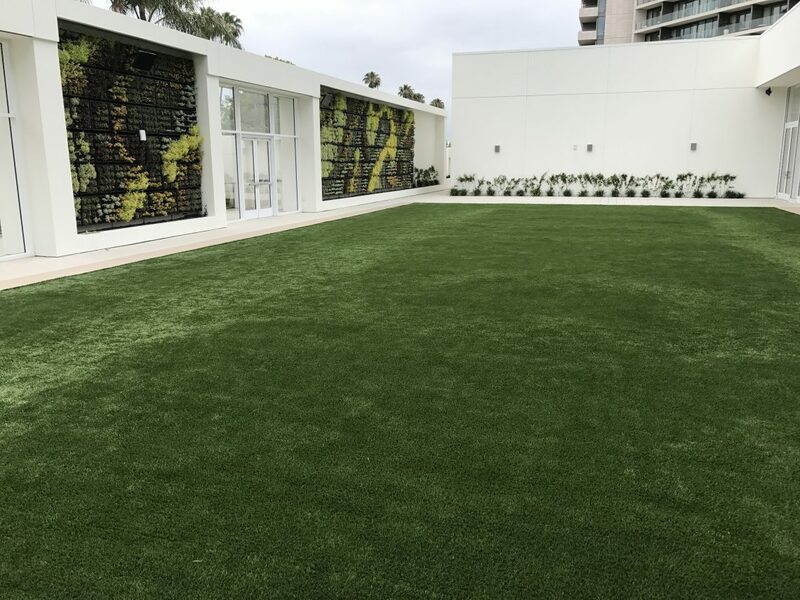 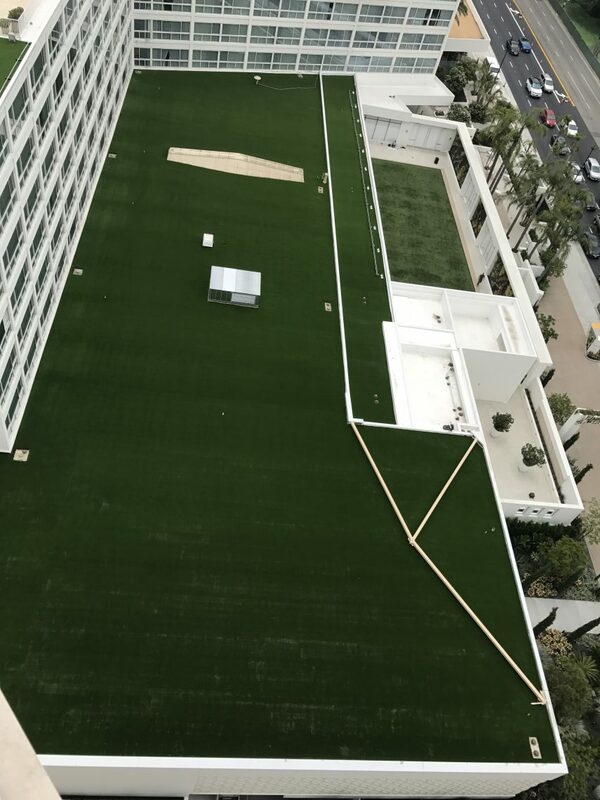 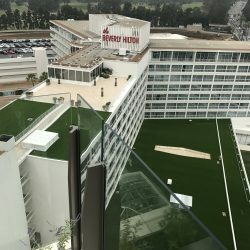 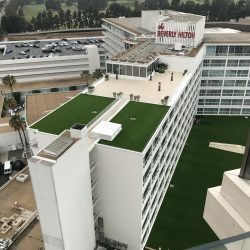 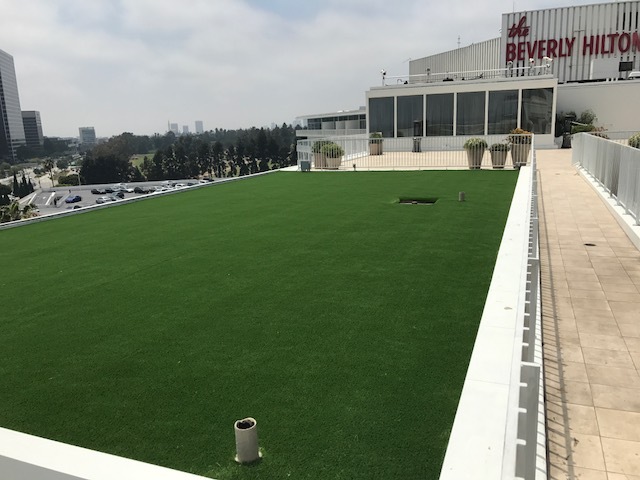 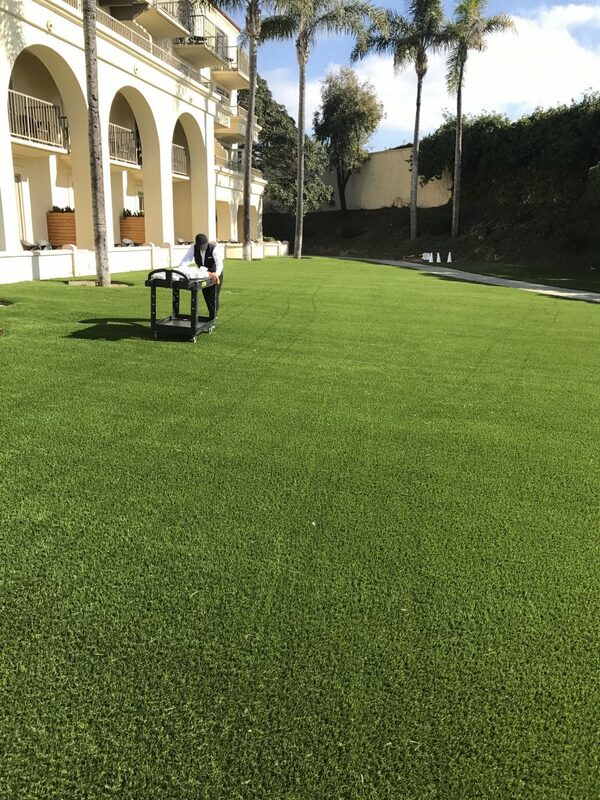 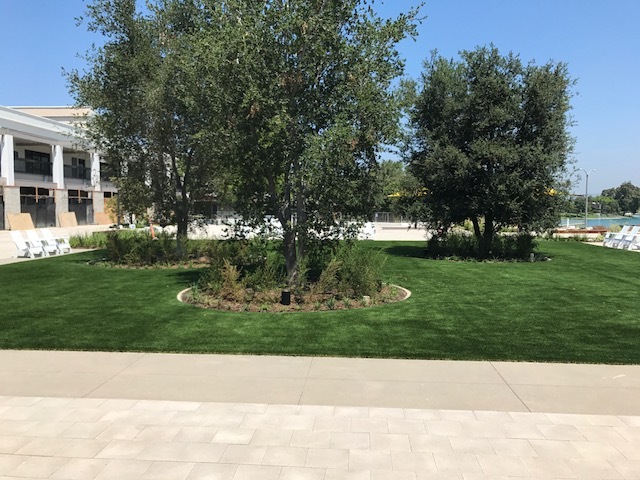 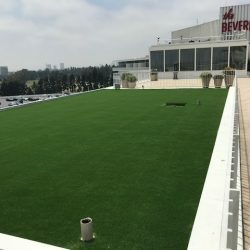 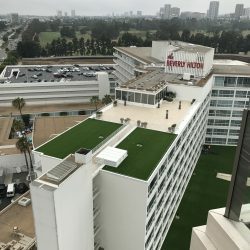 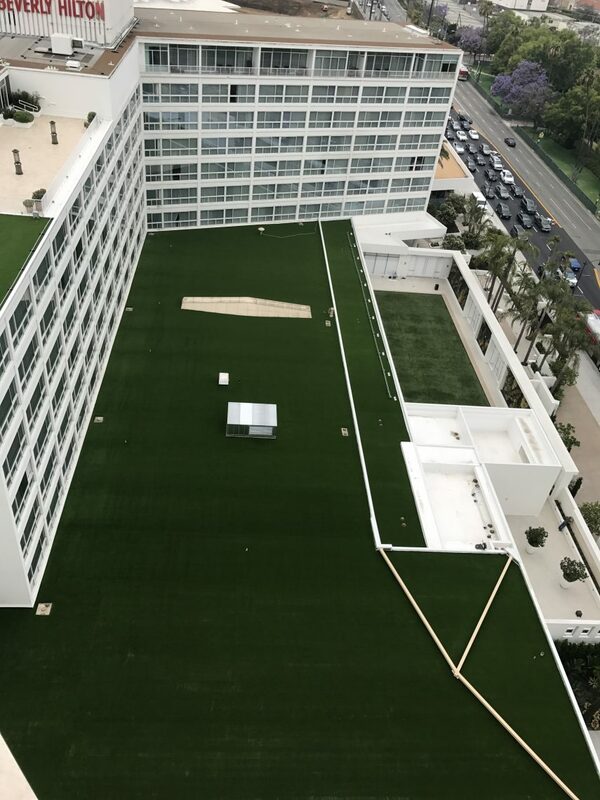 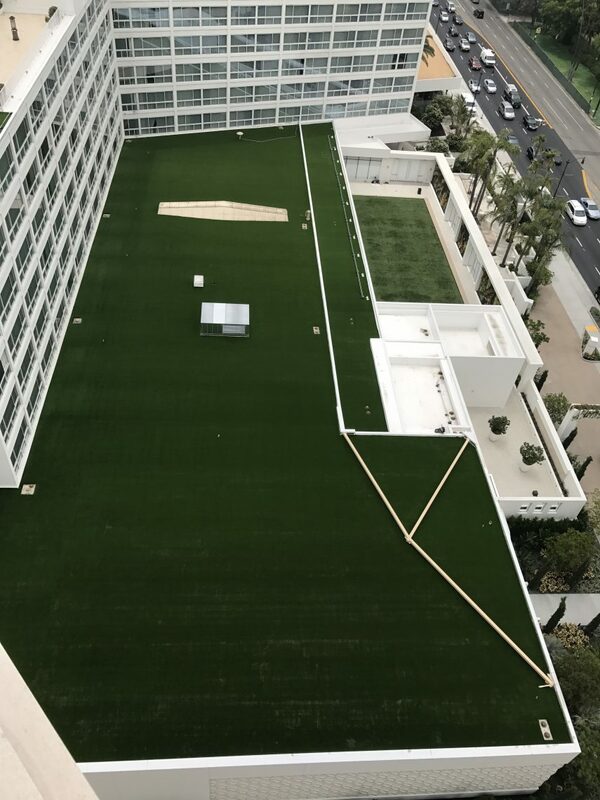 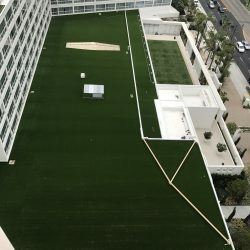 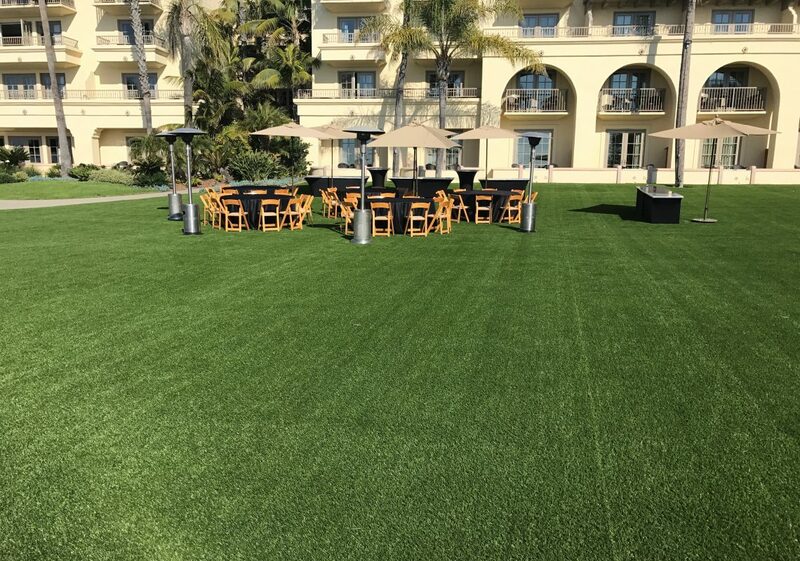 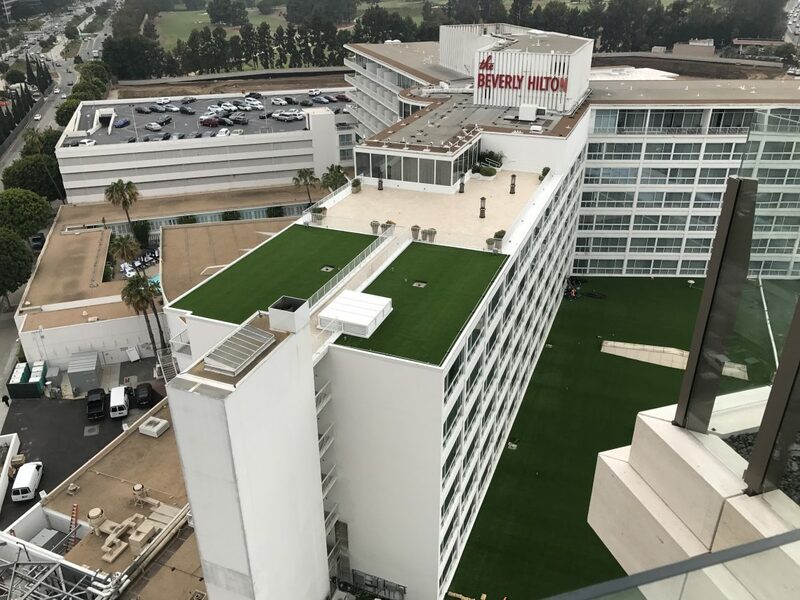 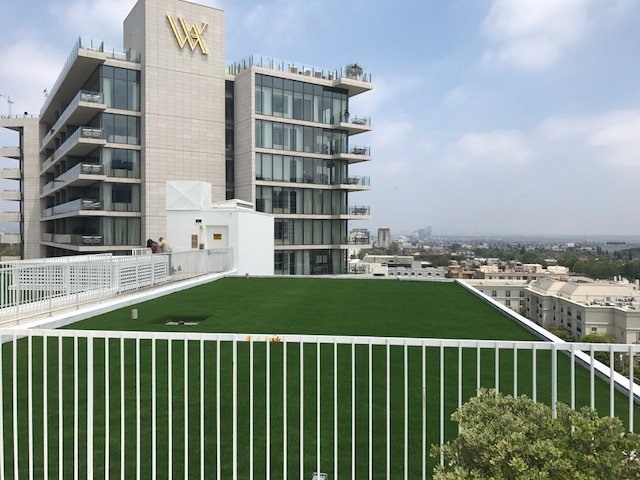 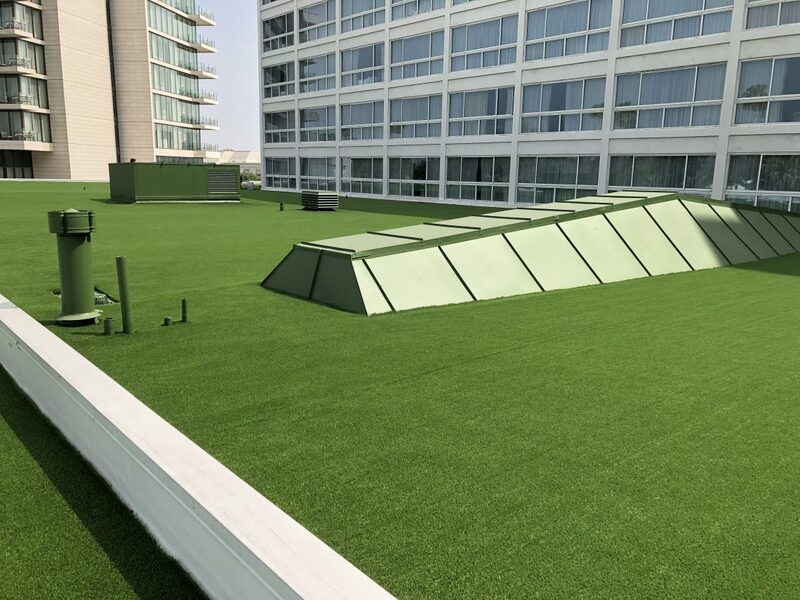 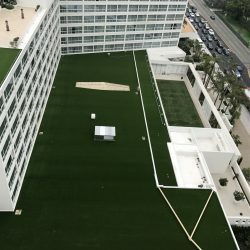 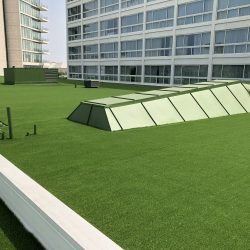 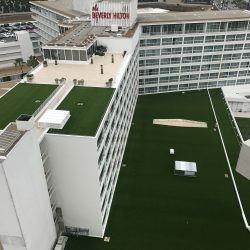 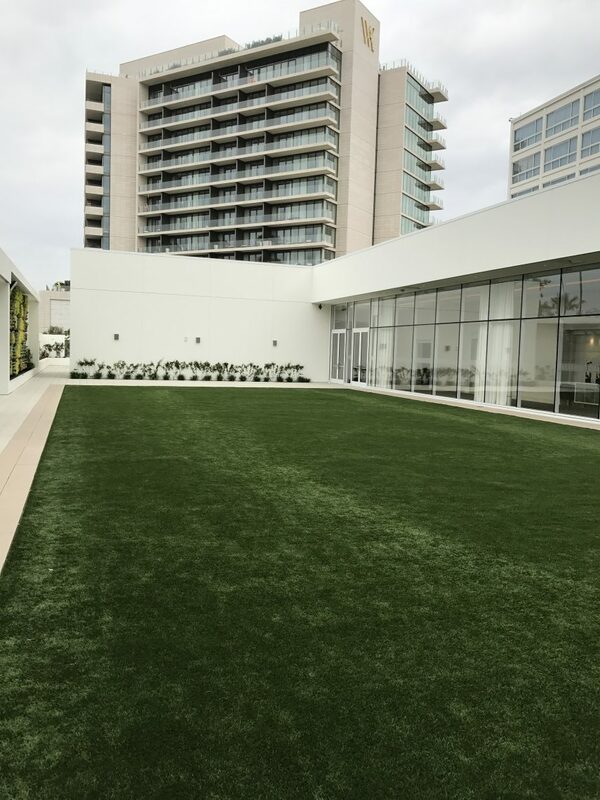 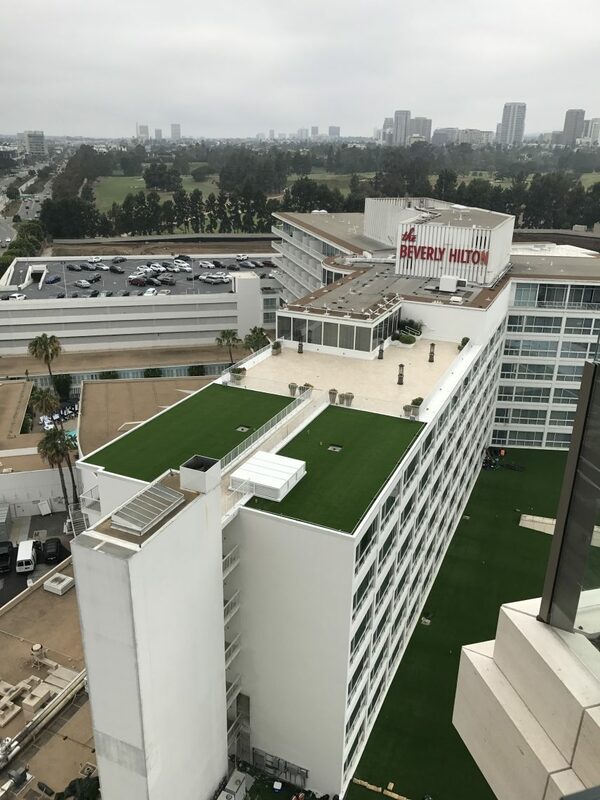 Synthetic turf is the perfect touch for roof decks and patios to get that green grass look even in the most urban locations. 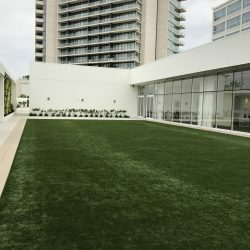 Why shouldn’t a city dweller have their own patch of grass right on their balcony? 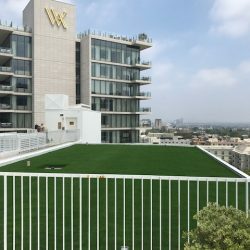 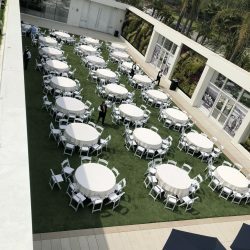 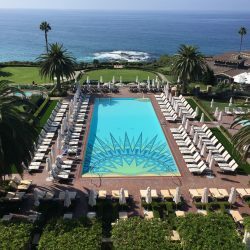 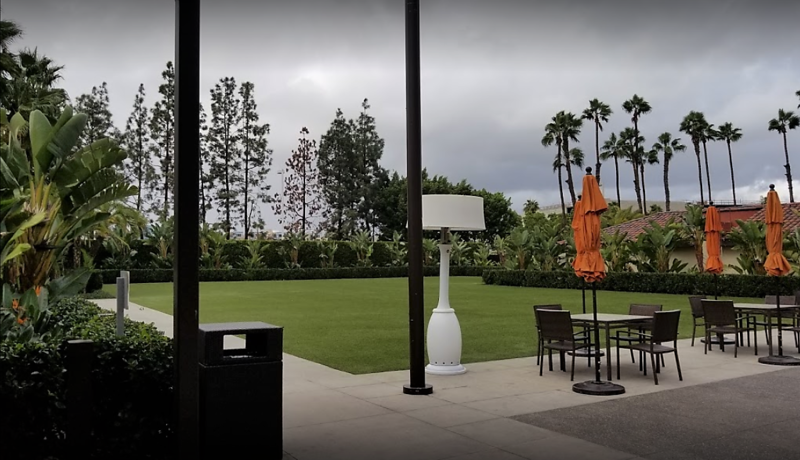 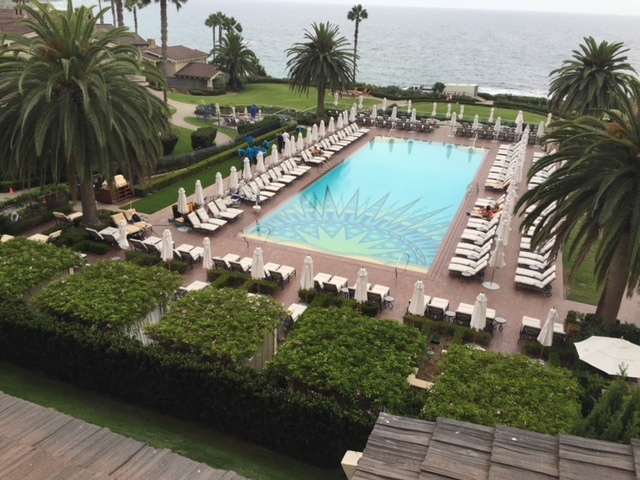 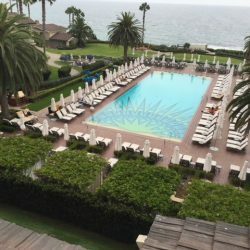 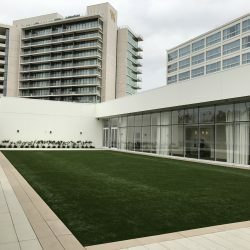 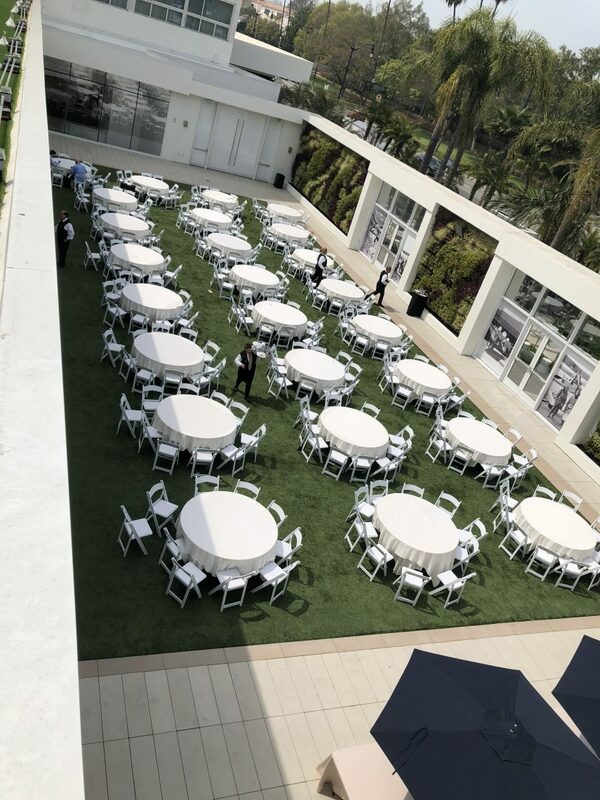 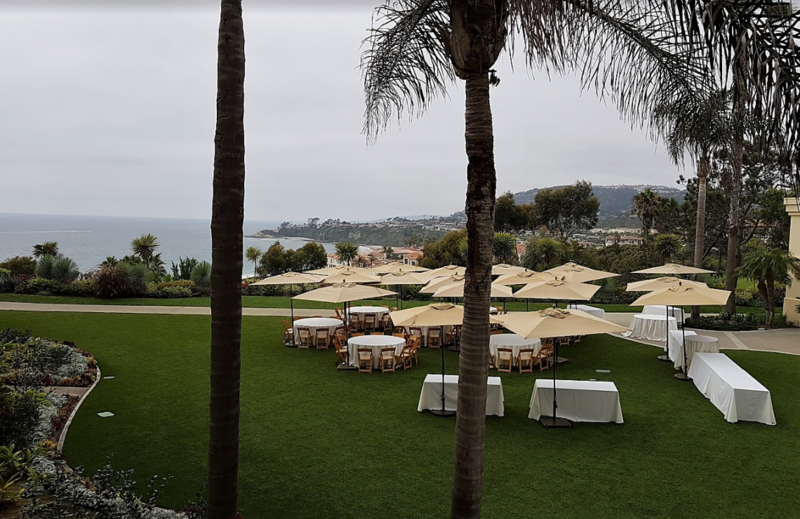 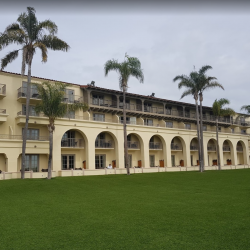 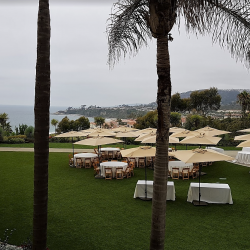 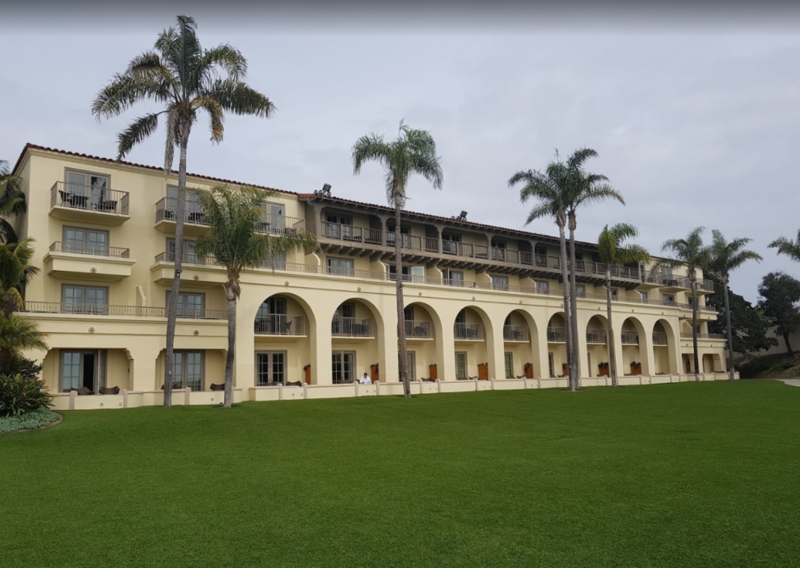 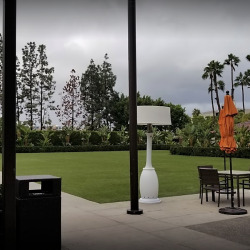 For an even more spectacular outdoor environment, the grass can be used to turn an underutilized space like a rooftop into an enchanting outdoor entertaining area.